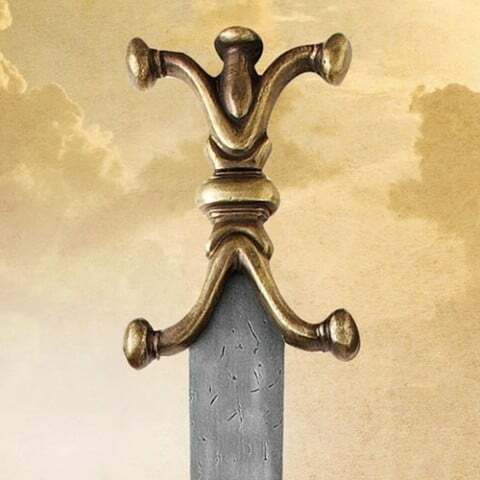 One of four swords selected from the Roman epic The Eagle. Characteristic anthropomophic metal handle typical of the era. Custom 79cm blade made from hand forged tempered high carbon steel. Antiqued parts complete this fine example. Overall length 89cm. Weight 1.25kg. Includes a genuine leather scabbard and Certificate of Authenticity.